Nokia 9 is all set to be launched, while HMD Global is not stating much about the device. Well, the renders of the device have got leaked online. The leaked images suggest that Nokia 9 sports a similar design to that of iPhone X. 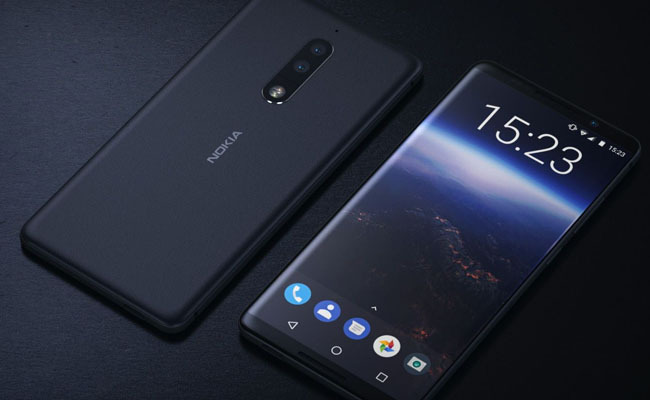 The bezel less design, coupled with a notch at the top, Nokia 9 – which is also been called Android P – is in line with iPhone X. Powered by Qualcomm Snapdragon 845 SoC, Android P would also be having a penta-lens feature from ZEISS. Nokia 9 is reportedly going to hit the market by August or September this year – along with Nokia 8 Pro.